These socialists sure are funny when they get caught speaking out both sides of their mouths. This week Beto O’Rourke received lavish praise from the far-left media for another awkward, high-pitched speech to El Paso supporters in which he lamented the “concentration of wealth” in America. Yet how strange is it that the vast majority of Mr. O’Rourke’s supporters don’t know he married into the “Texas Trump” family that generated the vast bulk of its significant wealth in real estate. 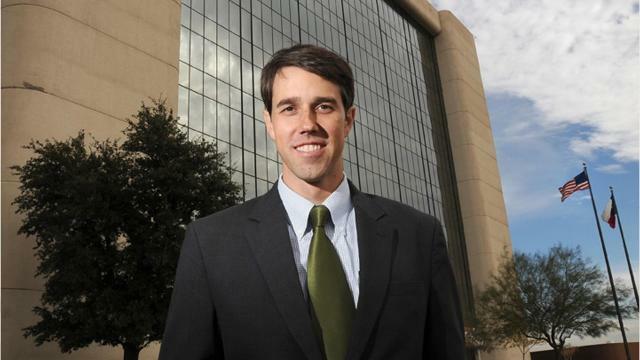 O’Rourke, who has almost no real-world work experience, came from a wealthy family (he still co-owns a multi-million dollar shopping center with his mother who is also a former board member of the El Paso Federal Reserve branch) and then married into a VERY wealthy family and yet now, as socialists so often do, rails against the very lifestyle they themselves so happily and comfortably live as dim-witted Democrat supporters clap and cheer and declare him to be one of them. Oh, and another point should be made on this. When O’Rourke was sitting on the El Paso city council, (a position he obtained via no small help from his wealthy land developer father-in-law who is said to also be an open borders/cheap Mexican labor advocate) lo and behold but what should come up before the council? A massive real estate deal being coordinated by the very family real estate business O’Rourke married into! It was also a project that attempted to seize the property of low-income El Paso citizens (most of them Hispanic) and then replace them with high-dollar homes those poor citizens could never afford. Remember when Bernie Sanders famously wagged his finger at the “millionaires and billionaires” who he feels are ruining America? Well, Senator Sanders would do well to wag that finger right in front of Beta O’Rourke’s face because O’Rourke knows all about that “millionaires and billionaires” stuff even as the far-left media continues to cover it up. Beto O’Rourke, a very spoiled rich kid oozing white privilege who married into the “Texas Trump” family business. Shouldn’t someone tell his socialist supporters about this?